You are here: Home > WIN A R3,000 Getaway With AFRISTAY! 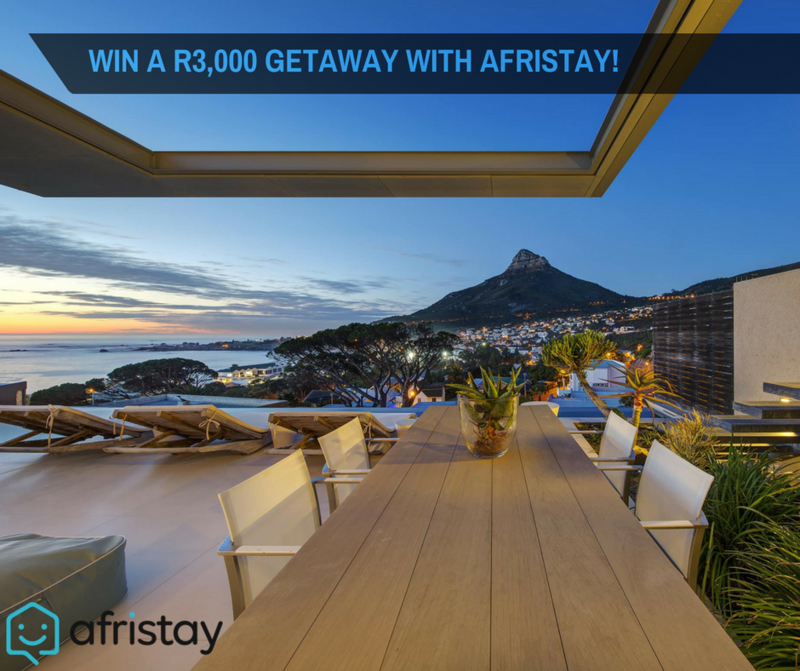 WIN A R3,000 Getaway With AFRISTAY! Win a R3000 travel voucher and stay anywhere in South Africa, with Afristay.com! Who is Afristay? Previously known as “Accommodation Direct”, in August 2017, Accommodation Direct rebranded to Afristay.com. They felt it was time for a new fresh look, and a brand that better reflected their new identity: simple, easy online bookings combined with friendly customer service. Celebrate with them by entering the competition and standing a chance to win a R3,000 travel voucher with them for your very own getaway! Become a fan of Mr Cape Town Blog and Afristay on Facebook. Follow both @MrCPT and @Afristay on Twitter. Head over to our competition post [CLICK HERE] on Facebook and follow the simple steps! Oh my Greatness; what a sublime treat this would be! I’m in love with the idea of exploring the KZN Midlands; so would use the voucher to enjoy this local beauty! My husband and I would really love to go to The Kruger National Park to see the big 5. Would love to suprise him by winning this awesome giveaway I know he’d be very happy and grateful. Winning this would absolutely make my years. ive entered on all platforms. Holding thumbs! Awesome prize. Would be a awesome to win as i am getting married in December and its my birthday in December. Would Love to Win this!!!! #AfristayGetaway !!! Yes Cape Town will be awesome !!! We would love to stay in Cape Town! The best place to go! I need this sooo bad for our Honeymoon! !